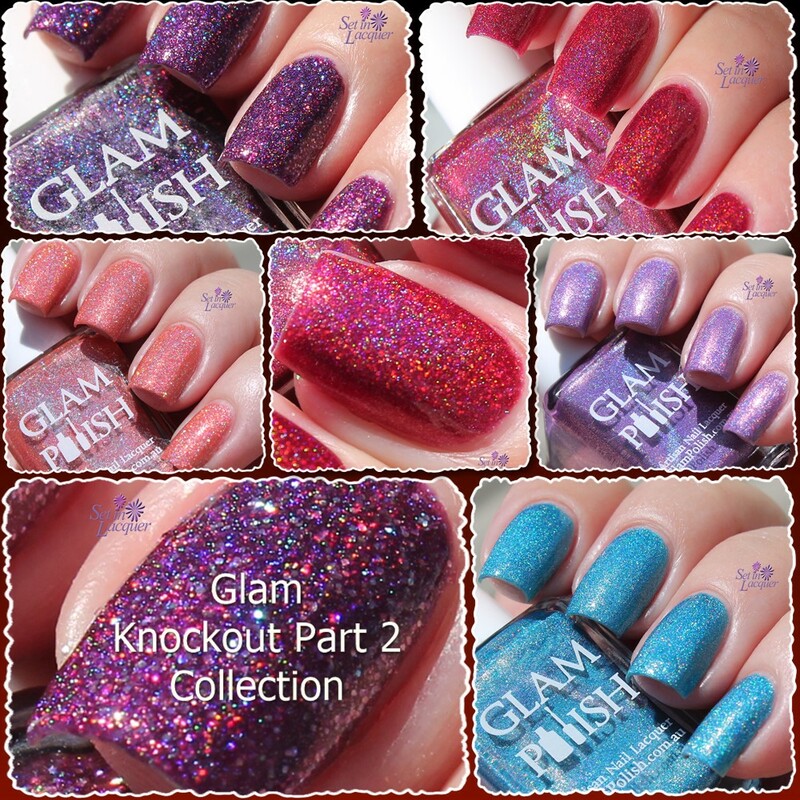 I have a few of the Glam Polish Knockout Part 2 Collection to share with you today. These definitely pack a punch! There are nine polishes in the collection and I have five to share with you. There is sure to be something for everyone. Especially if you are a lover of all things holographic. Let's take a look. There are lots of photos - both in indoor lighting and in sunlight. OPI, is celebrating the lighter side of nail color with The SoftShades Collection. This collection of blushes, nudes, and matte shades delivers rich, true-to-bottle color with just a few coats, even in the lightest hues. I'm excited to be able to share these with you. These shades simply scream "wedding" to me. These polishes are perfect for a walk down the aisle or an everyday soft and subtle look. I used one of these sheer polishes to create a stunning bridal nail art look. So let's take a look at these sheer polishes. I stamped yet again. This is becoming a habit for me. I love the different looks I can get with a fun base and the swish of a stamp. For this one I used an alcohol ink base. I like using alcohol inks. They are so much fun and create a fun, marbled look. 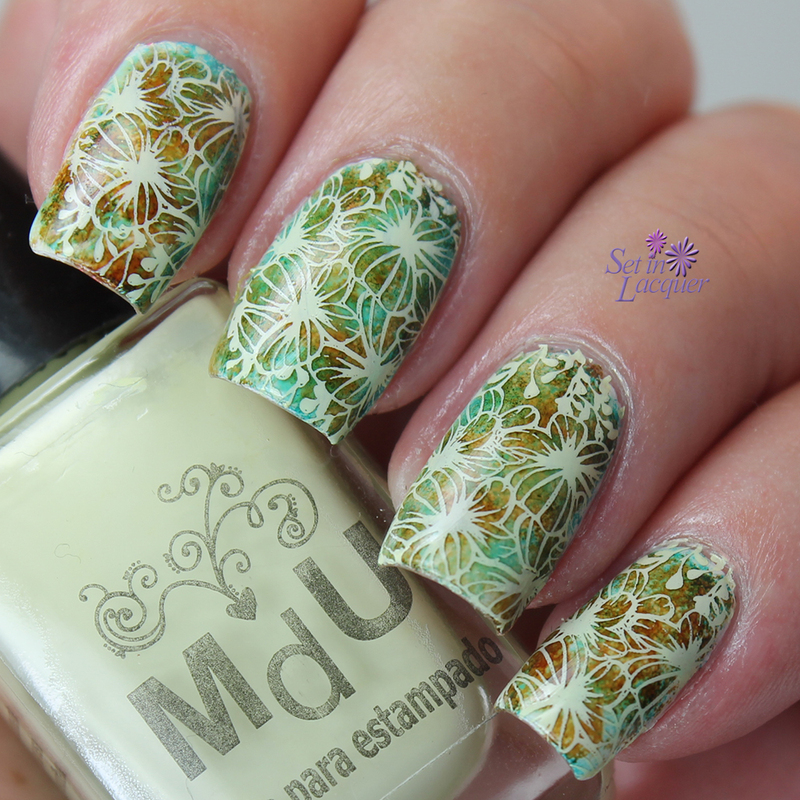 Then I stamped with Mundo De Unas Cream stamping polish and used BundleMonster image plate XL07. I love the way the look came together. The colors just complement each other and the design works well over the alcohol ink base. What do you think? What colors would you use? These products were purchased by me. I created some western-themed nail art for an event I attended and I love it. Saturday night my husband and I attended a fundraiser/dinner for Cheyenne Frontier Days. If you haven't heard of Cheyenne Frontier Days - well, it's huge. The events surrounding the "Daddy of 'Em All" occur year round and my husband and I have been volunteers forever. I used my new found stamping courage and set to work. I used OPI Alpine Snow for the base and then made a gradient using OPI Fly and Elevation Polish Thunder Basin from the Wyoming the Wild collection. Then I stamped the barbwire using BundleMonster image plate XL 21 and the boots and horse using Konad S5. 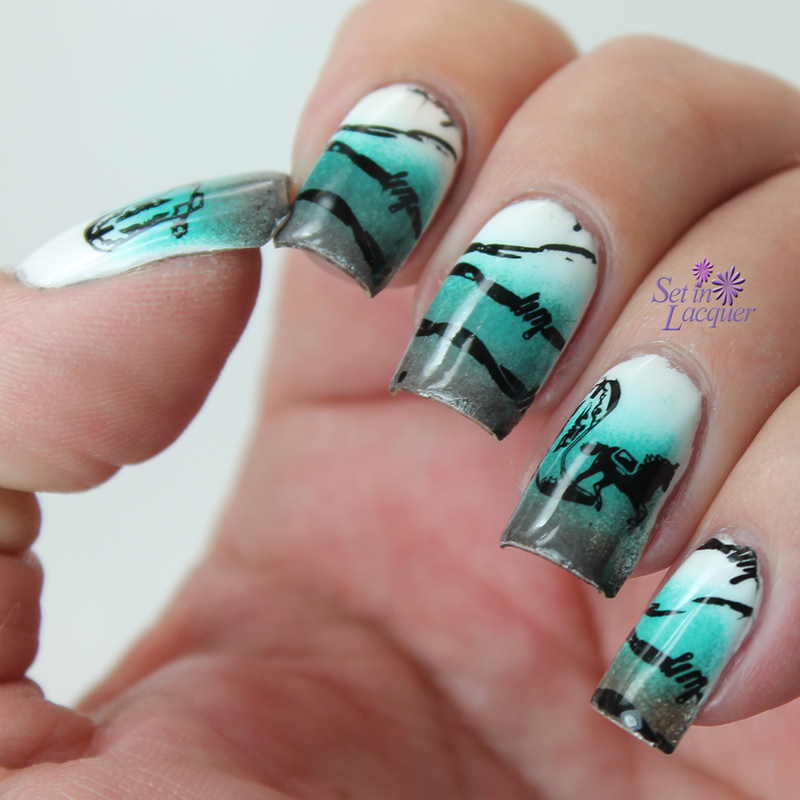 The color theme definitely looks western and the stamping just adds to the look. I think I am going to have to use my stamps a little more because I love how this turned out. What do you think? All of the products were purchased by me except for Elevation Polish Thunder Basin, which was sent to me for an honest review. All opinions are my own. Please note that computer monitors may display colors differently. I convinced myself that I had to try stamping to create nail art again. I have never had much luck with stamping and couldn't seem to transfer a clean image to my nails. Well, I am glad I tried again. Laurie from Dressed Up Digits gave me the courage to try again. 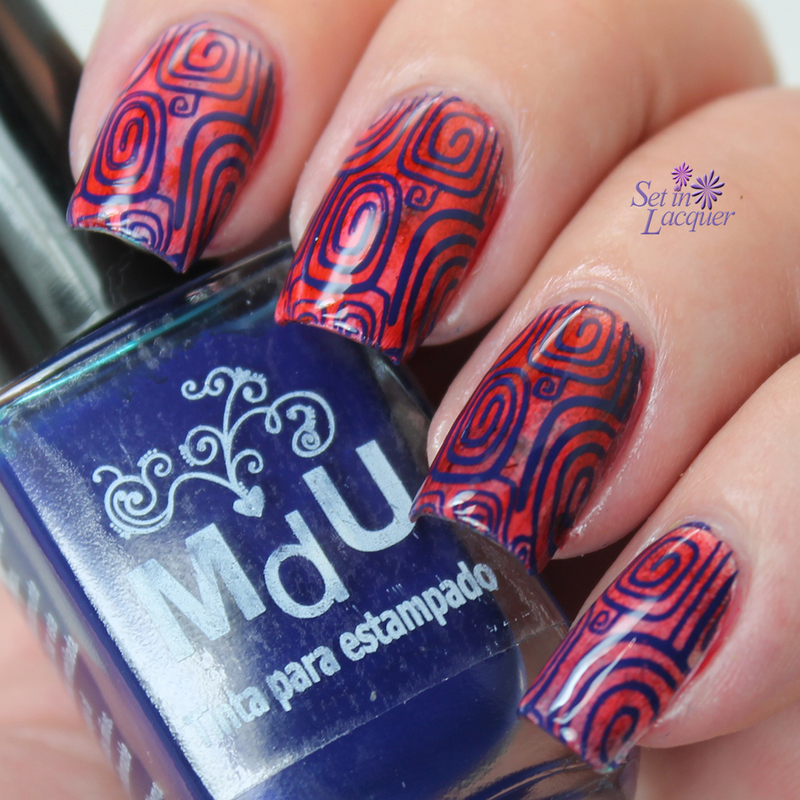 A little while back, I purchased some Mundo de Unas stamping polish. Well, it sat on my desk for weeks before I gathered the courage to attempt nail art with stamping. Let me tell you... it made all the difference in the world. I am extremely excited as this opens a whole new nail art door for me! I started off with a base coat of OPI Alpine Snow and added an alcohol ink marble to it. I used Mermaid and Poppyfield inks. I love alcohol inks for a quick marbled look. Then I stamped with Mundo de Unas Blue Navy and an image from the XL 18 plate from BundleMonster. The Blue Navy polish transferred flawlessly to my nails. There was no lifting of the polish or bald spots left behind. I still need to work on my placement though. The image plate was also easy to work with. I will definitely be increasing my stash of image plates and stamping polishes. I know that a lot of people have great luck using normal polishes to stamp with - and I will eventually try those again - after I build my confidence and skills. Have you tried Mundo de Unas? What do you stamp with for a clean image? I purchased this Mundo polish (and quite a few others) from llarowe. You know how I love floral nail art. So I had to create some simple floral nail art using a few of the KBShimmer sun-bleached neons from the Summer 2015 Collection. It's bright, fun and sure to be an eye-catcher. I used Lei It Again for the base color. Lei It Again is an electric pink creme and is perfect to wear on its own or as a base for nail art. Then I used Rum Me The Right Way to create the bright yellow petals. I added a dab of Eyes White Open for the centers and For Sail By Owner for the bright green leaves. These polishes were easy to work with. I had no issues with application. I topped it off with KBShimmer Clearly On Top for a fast finish. The KBShimmer Summer Collection will be launching on May 15, 2015 and the cremes will be available for $7.50. KBShimmer was founded in 2008 by the husband and wife team, Jason and Christy Rose. KBShimmer offers unique and colorful nail glitter nail polishes that are Big 3 Free, with all glitter formulas being completely free of chemicals such as toluene, formaldehyde, formaldehyde resin and dibutyl phthalate (DBP). KBShimmer glitter polishes feature a flat glitter-grabbing brush for easy application. KBShimmer also offers a 2-free quick dry polish topcoat, olive oil lotion, sugar scrubs, lip balms, cold process soaps, and other skin care products. We tend to focus on the obvious. 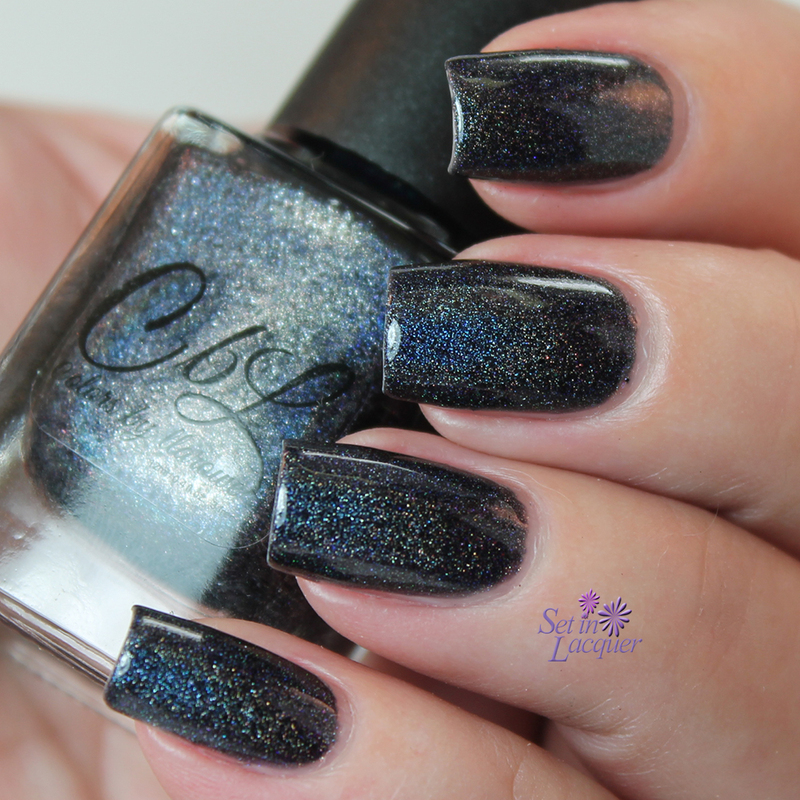 Creme, glitter, holo, shimmer polishes draw our eye and capture our attention. But, we forget to think about what goes on behind the scenes. A good nail care routine can enhance the overall look of our finished manicures and add to the health of our nails. Wyoming has a very dry climate. The wind and cold temperatures can sap any moisture right out of my skin. I use tons of lotions, but it never seems to fully hydrate my cuticles and nails. So I often use a cuticle oil for that deep conditioning that my nails seem to crave. Elevation Polish has started stocking a few of Lulu's Favorite Things. These are products that she continually uses and loves. 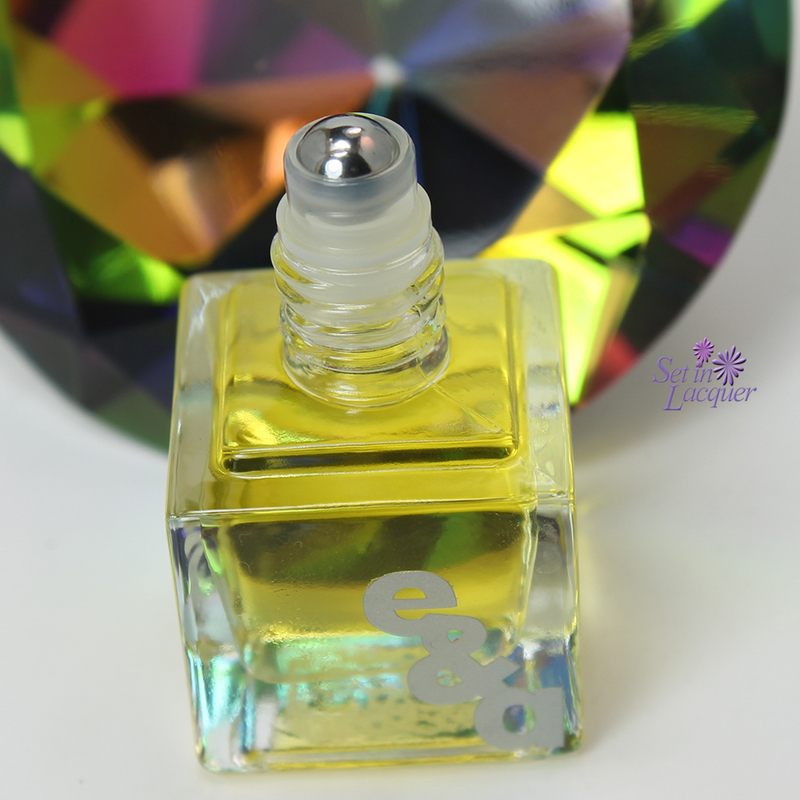 One of the items is Emerald & Ash Cuticle Oil. I tried one and I want to share my thoughts with you. The scent I tried is Yeti Relaxes in Lakshadweep. It has a creamy coconut and bergamot scent. The fragrances blend well together and give it a soft spicy, yet sweet scent. It is a subtle and clean fragrance. Bergamot is a common top note in perfumes. I have used this oil for the last week and apply it twice a day. The roller-ball provides for easy application. The ball is small and allows for focused application. The oil glides on and doesn't leave a greasy or oily residue. It absorbs into the cuticle area within a few short minutes. I have noticed a positive difference in my cuticles since I started using it. The bottle is perfect for carrying with you in your purse. The bottle is constructed of sturdy thick glass - so I have confidence that it is going to stay intact. This cuticle oil is affordable too. 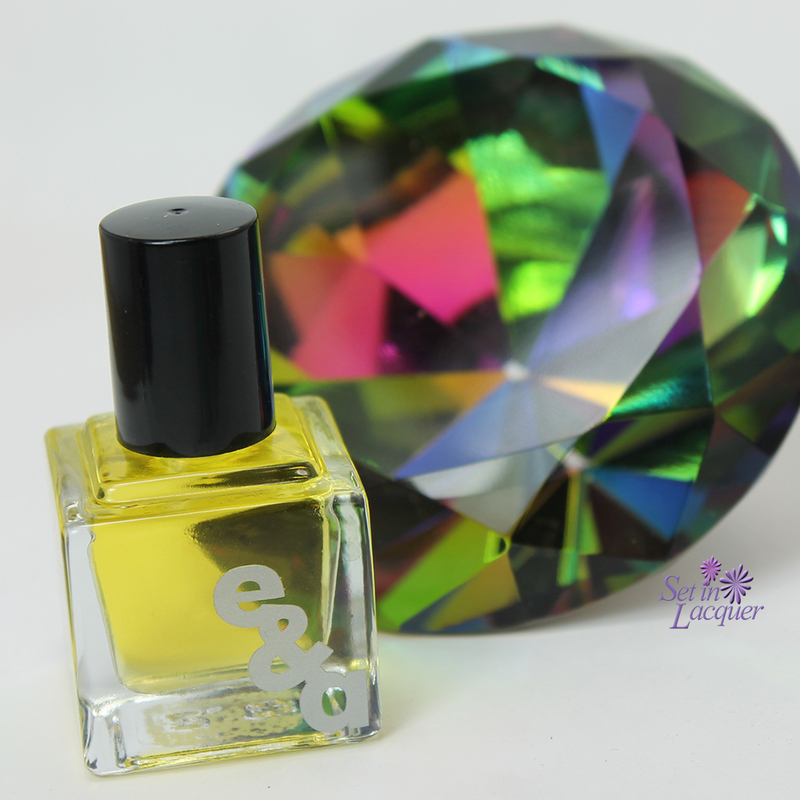 You can purchase it on the Elevation Polish website for $4.25 for a 10ml sized bottle. You can see the size of the bottle in the photo below. 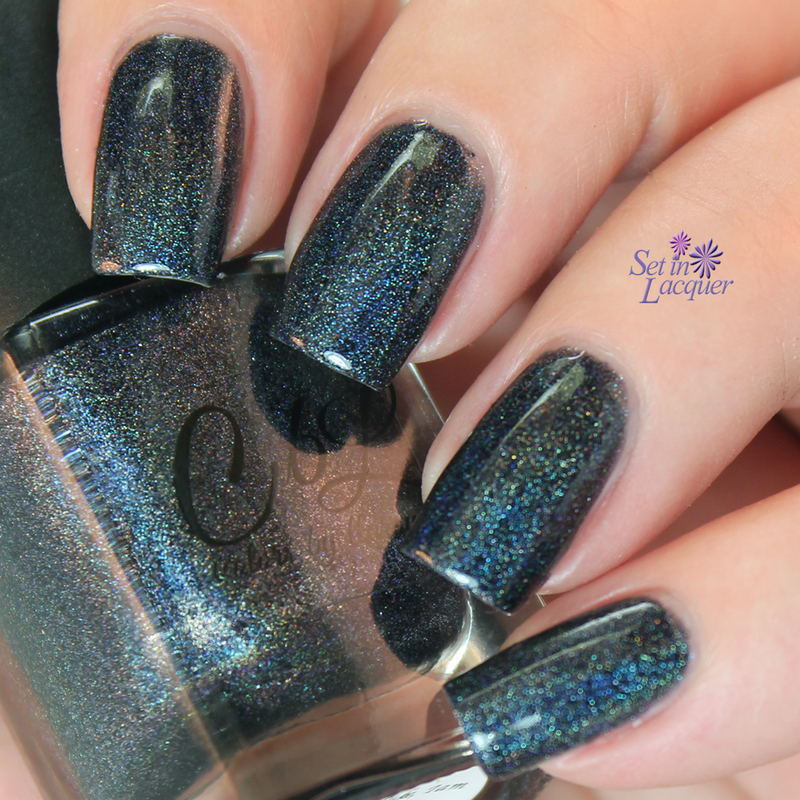 Oh, and that gorgeous blue polish is an Elevation Polish SBP - Uvs Nuur. Directions: Twice daily apply to the cuticle line or as often as you wish. Ingredients: Organic jojoba oil, grapeseed oil, cold pressed meadowfoam seed oil, fractionated coconut oil, tea tree oil, vitamin A oil and vitamin E oil. May contain: essential oil, fragrance oil. Product Notes: For easy application the bottle has a metal roller ball. There are more choices available on the Elevation Polish website. Make sure and check it out and treat your cuticles to a little hydration. 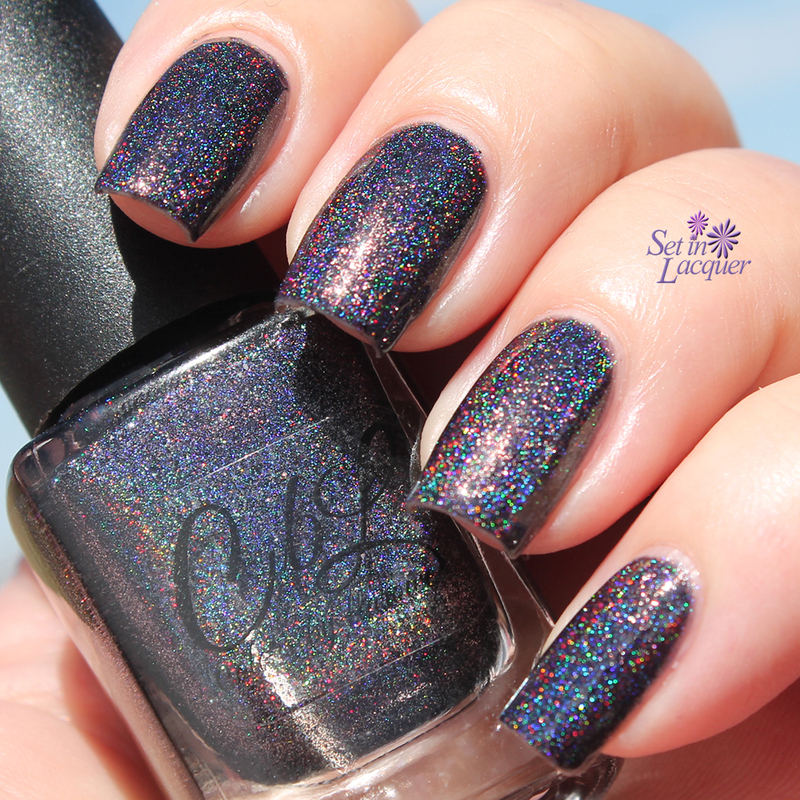 To get the newest information on Elevation Polishes, make sure to follow her on Instagram, Facebook, and the blog. It's the final day of the Childhood Theme for the Digit-al Dozen. I wrapped it up with some simple gumball machine nail art. Who doesn't remember staring at the gumball machines every time we walked by one? I was taught never to ask, but it didn't stop me from staring a hole through it... Usually my dad got the hint and would ask me if I wanted one. The answer was always "yes, please!" I used a white base color and various neon shades for the gumballs. 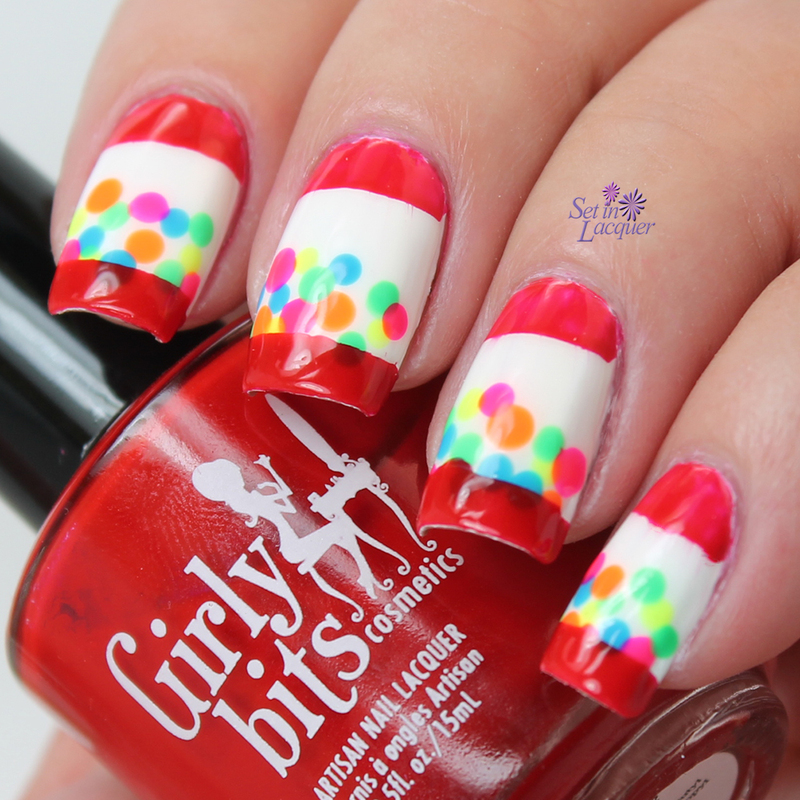 The red for the top and bottom is "Hoosier Daddy" from Girly Bits. Such a fun and simple mani. But one that brings back so many memories. I always hoped for a blue gumball - I loved how they turned my mouth neon blue. Now let's look at some of the other Childhood memories from the amazing ladies of the Digital Dozen. It's day four of the Digit-al Dozen Childhood theme. 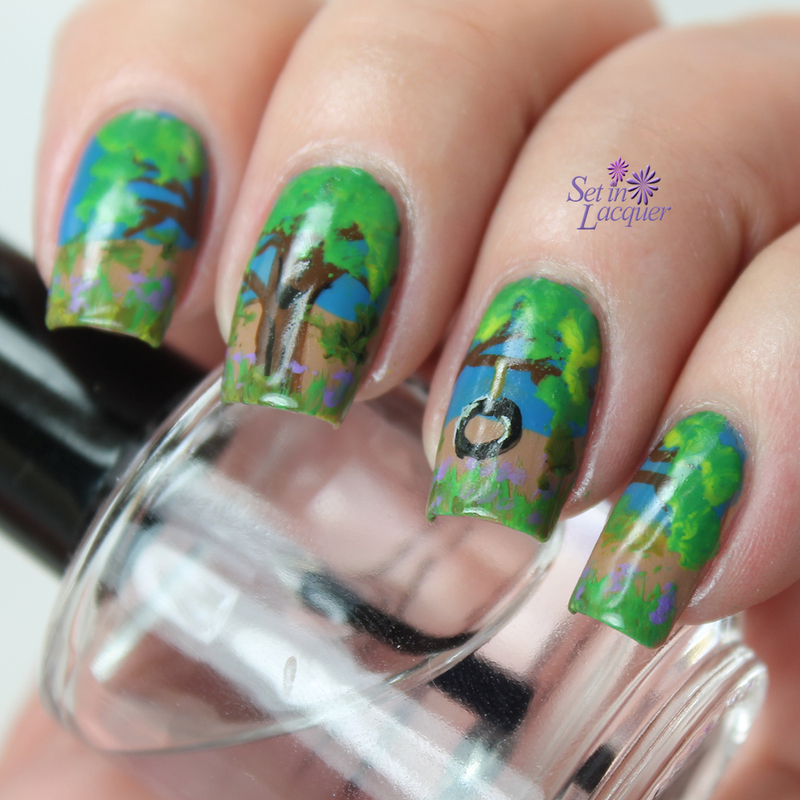 I chose to do more detailed nail art than I have created so far for this challenge. I love this tire swing in a tree. It actually wasn't too difficult I used a larger raggedy brush to dab on the leaves of the trees. I used Zoya Flynn for the brown dirt. Who doesn't remember the worn dirt area under the swing? Then I used Colors by llarowe Mile High Manicure for the blue in the sky. The rest was created using acrylic paints. This brings back so many memories. A warm summer day in the swing; hair flying as we went to and fro. Times were simple then. Today is Day Three of the Digital Dozen Childhood theme. I was raised an only child and most days I had to entertain myself. I spent a lot of time with my hula hoops. I remember how bright and neon they were. I hooped for hours everyday. I actually got quite good at it. I was able to hoop with several at a time and could make them raise up to my neck and then my arm, and then even down to my ankles and back up. Now that I think of it, it was excellent exercise. Maybe I should pick it up again? I said "maybe," so don't hold me to that. But I do remember how the colors of the hoops mingled together. So to pay tribute to those days I created a water marble with the upcoming Girl Bits Hoop! There It Is collection. These polishes marbled amazingly well. Let's take a look! The Hoop! There It Is Collection launches on April 19, 2015. Make sure to check it out! See the swatches on this post. I have some of the upcoming Girly Bits Hoop! There it is! Collection to share with you today. These shades are shockingly bright! They are perfect for the spring and summer season. These are swatched over white. I thought about swatching them solo. But I really wanted you to see just how bright they really are. Not only are they super bright, but they water marble amazingly well. They did dry to a slight matte finish, just as neons do. But add a top coat and you have a mani that has enough gloss and color to power a town. Don't Paddle Break A Nail is a neon magenta creme polish. This polish is a super bright shade that will look superb on the beach or on the town. This is two coats with a top coat. I had no issues with application. Hip Hoop Hurray is a a neon orchid creme polish. This is a grape ape on steroids! This is two coats with a top coat. I had no issues with application. I've Got High Hoops is a strong blue shade that will electrify your mani. This is two coats with a top coat. I had no issues with application. Thump Your Melons is a bright, and I mean bright, neon orange. It made my camera go into fits. You will need to wear your sunglasses with this reflective orange. This is two coats with a top coat. I had no issues with application. You Spin Me Round is a sparkly glittery top coat. It has holographic shimmer and small black and white glitters. It's sure to add some sparkle to any shade. I had no issues with application. You're My Hooper Hero is an amazing neon watermelon pink. I think this is my favorite of the bunch. This is three coats with a top coat. I had no issues with application. Hoosier Daddy is a bright red creme shade. This will be a core color and will be available on April 19, 2015. This is an shocking red. I love how vivid it is. This is two coats with a top coat. I did not apply this over white. It is this bright all on its own. I had no issues with application. These Neon Brights are sure to add power to any collection. I will definitely be shopping for the other ones in the collection when they are released. Which ones will you be picking up? This collection will be available April 19 on the Girly Bits online store for $12 CAD or you can purchase the full collection at a discounted price of $121 CAD. 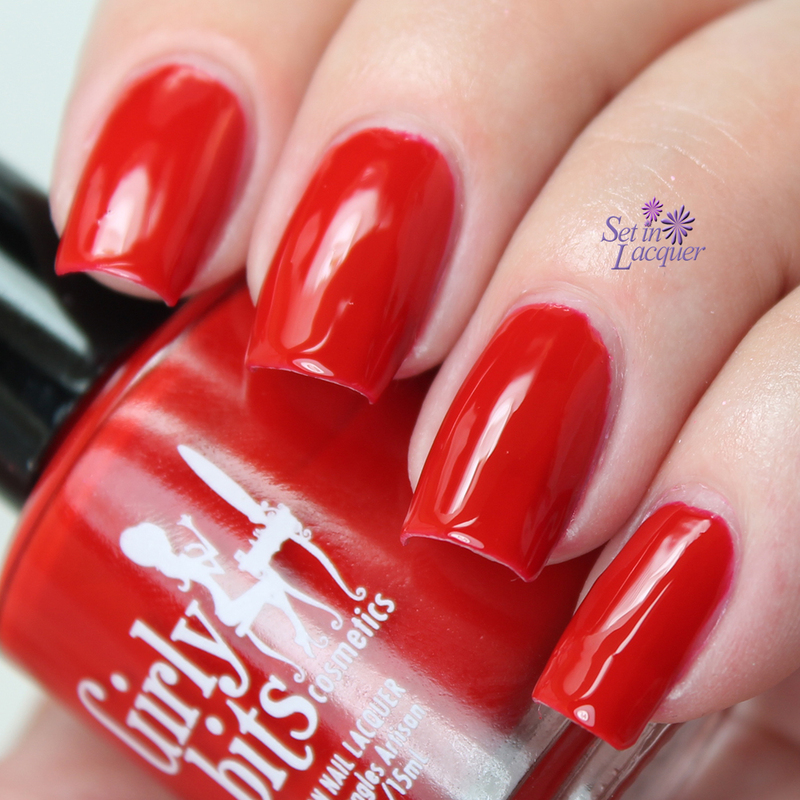 Girly Bits Nail Lacquer is available internationally. Check the list of stockists here. These polishes were provided to me for an honest review. All opinions are my own. Please note that computer monitors may display colors differently. It's day two of the Digital Dozen. I am keeping it simple this week. I am not sure who is stealing my time... but I would love to have it back. Just kidding, it's just been a busy time here at Set in Lacquer. When I was a child I did a lot of things by myself. I was raised as an only child. One of my favorite things to do was go in the field surrounding my house and fly a kite. 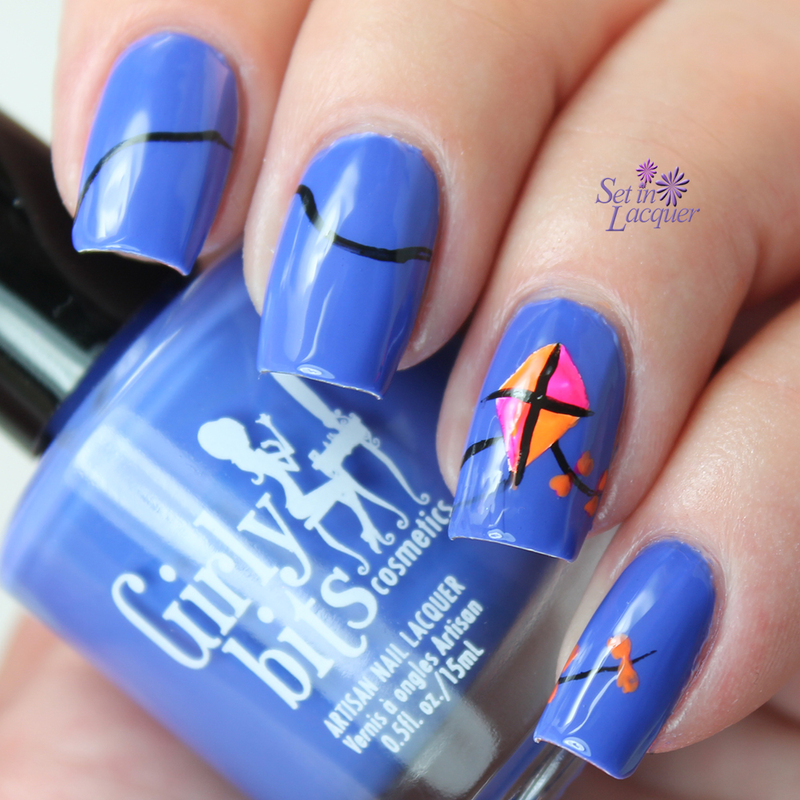 So today I have some kite inspired nail art. 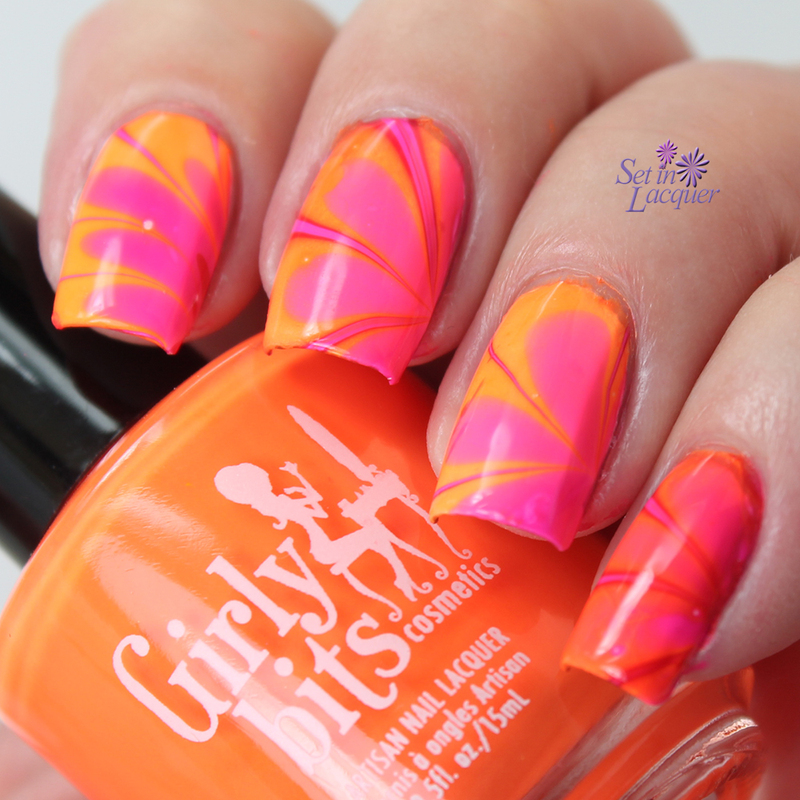 I used I've Got High Hoops from the Girly Bits Neon Brights Collection for the base color. (Watch for swatches tomorrow.) I also used You're My Hooper Hero and Thump Your Melons from the same collection for the colors in the kite. The black for the string and outline were created using acrylic paint. What do you think? 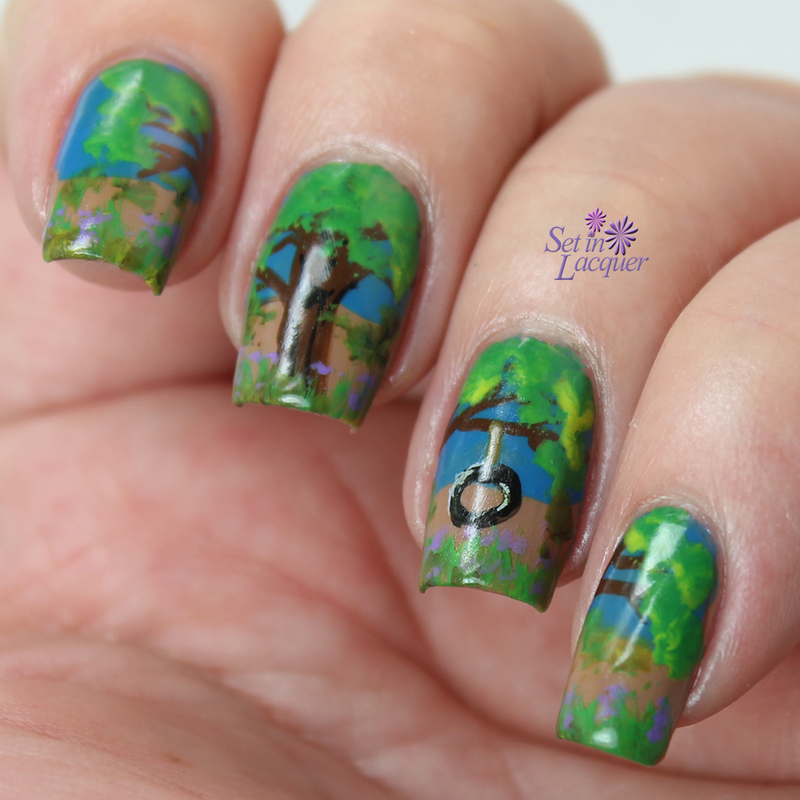 Check out the other childhood inspired manis created by the talented ladies in the Digital Dozen below. It's Digit-al Dozen time again. The theme for May is "Childhood." 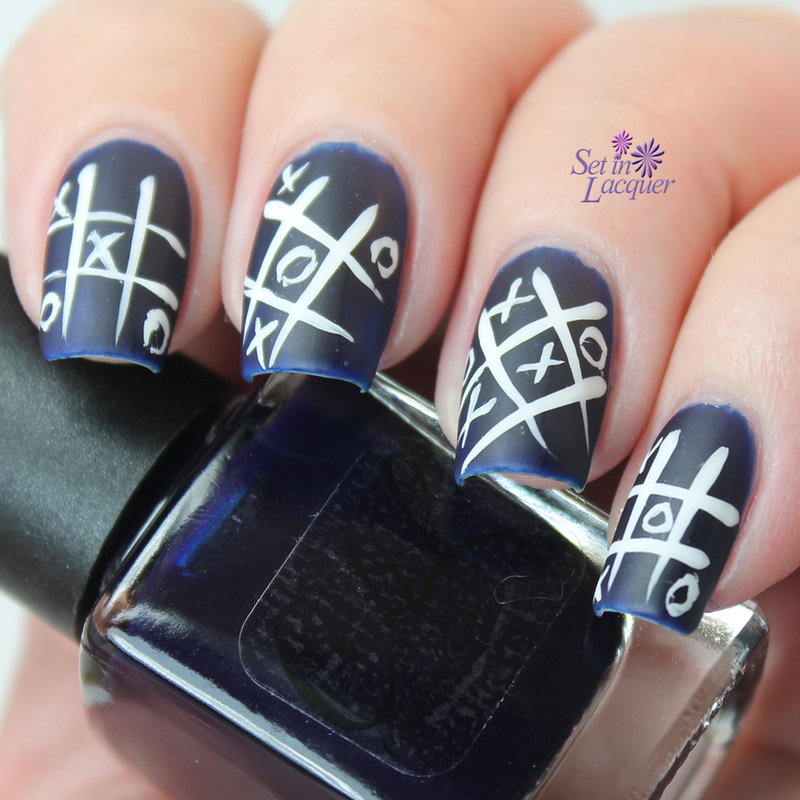 For the first post I created some simple nail art inspired by the age-old game - Tic Tac Toe. I used Colors by llarowe "Broncos Baby!" for the base color. Then I used OPI Alpine Snow for the grid, Xs and Os. I finished it off with a top coat of Girly Bits Polish Matte'rs for a matte finish. It almost gives it a chalkboard look. This is a really simple mani, but I love the way it turned out.